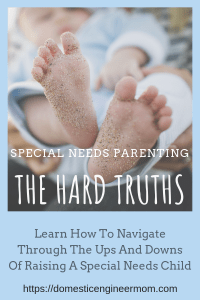 Being a special needs parent is challenging at best! Especially when there are chronic medical needs, that can turn serious fast! I’ve been wanting to write this post for some time. It has been sitting in my drafts, nagging at me every time I open up the editor in WordPress. I really have been hesitant about writing this kind of post because I never want my readers to be discouraged. That is not what this post will be about. You see, I’m a very optimistic person. Sometimes maybe too optimistic, that it’s hard for me to accept to see the real hard truths. I want to be able to relate to you with what I’ve learned over the last 14 years. First and foremost, I wouldn’t trade my life for anything in this world! The ups and downs that come with raising my special needs children have taught me so many valuable life lessons. I absolutely wouldn’t have it any other way. I’ve always said that they made me a better mother, and to be able to appreciate this life that we have been given. So as we started out on this journey over 14 years ago, I could have never imagined sitting in my OB Dr’s office and getting the news that our unborn daughter was going to be born with a congenital defect. She sat at her desk continuing talking. I was just frozen, I felt as though the walls were caving in. It caused such anxiety that I couldn’t speak. I heard her say she has Dandy-Walker Malformation and Hydrocephalus. But I just sat there and listened to her describe what seemed like a foreign language. I couldn’t wrap my mind around what she was saying. You see, I was shutting down, I was in disbelief. I just knew somehow there had been a mistake made. She said that she would need to have brain surgery when she was born. They would need to insert a shunt to relieve the pressure off her brain. Well from there, I probably didn’t make the wisest of choices of where I got my information, or the lack of info is more like it. The Dr offered to get us a consult with the neuro-surgeon at ChildrensHospital in our state. I really think we both were in such shock that we just said, No. First Mistake! Don’t Do That! 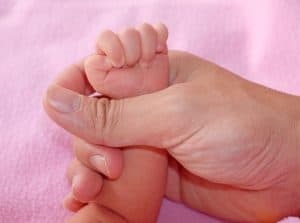 If your child is going to be born with special needs, no matter what it is, get educated by a professional that will be providing medical care for your baby. Your OB will probably be able to give you other resources that will be of benefit when your baby is born. If not your local Department Of Human services can be of assistance. Also if your baby will be seen at a children’s hospital, there are social workers that usually are very easy to talk to. So, I would like to talk to you about gathering support. Not all support is going to be equal, obviously, and it depends on your unique situation. But my first support would obviously be my husband. Both of us had gotten this bad news at the same time. Neither one of us processed it well. I remember the drive home felt extremely long. I honestly hadn’t cried at this point. I just had a hard time letting it sink in. Neither one of us had communicated much that evening. We had gone to bed, and I remember getting up to go to the bathroom. This point in my pregnancy I was 8 months along. If you ever have been pregnant, then you know you have to pee all the time. I remember breaking down and crying. It all came to me at once! I couldn’t believe we were facing of having this baby with serious medical issues. How was I going to take care of her? How would I know what to do? The anxiety was setting in! For the next couple of weeks was rough. I only had the information that we received from the doctor’s office. I had decided to do an internet search of her condition. I need you to understand this was back in 2004. So, there’s obviously a whole lot more support and better information on the internet. I would say my second mistake was just blindly looking for information. Not taking in consideration that not all advice is equal. People can say some really nasty things, especially in chat rooms. I experienced extremely negative feedback from doing an Internet search. I found good information about Dandy-Walker malformation and about Hydrocephalus. I wanted to know what other people were experiencing. I wanted to know what we were facing, by actual parents going through the same thing. I wanted to know what issues their child was having and the degree of severity. What I found in the support chat rooms was far from being supportive! I read the most horrible things a few were saying about children born with Dandy-Walker. I mean it was just the worst things that anybody could say about an unborn child. If you follow my blog and see pictures of both my children, then you know that they are extremely high function. But that’s another discussion for another time or maybe another blog post, who knows? Be careful of your Internet searches! This can lead you down a rabbit hole, make you an extremely anxious, or fill you with negative thoughts. You really want to be able to keep a positive attitude. I think that’s my biggest lessons. Have faith, if it wasn’t for my faith in Christ I would have never been able to make it through. I now want to talk with you now about being your child’s biggest advocate. I would like to stress one of the biggest things on this topic alone is to, educate yourself, educate yourself, educate yourself! So you can be your child’s best advocate. No one is going to advocate for your child more than you do. We have actually experienced this numerous times and still at it. For an example, Gabrielle was going on 8 months old at the time, this was fixing to be her third surgery. Honestly, I just did not agree with what the doctor. He was going to put another shunt in on the other side of her head. You know when you don’t feel right about something, you should question it. So long story short we ended up switching Neurosurgeons. You might be asking how did we come about finding another doctor? We started asking our therapist, home health nurse, and pediatrician. It just so happen that one of our therapists had gone to a conference and heard the current Neurosurgeon we have now. And the rest is history, because he is still caring for her. Don’t let anyone ever tell you that you cannot get a second opinion. No, you get a second opinion if you feel that you need it and you want to explore other options. Don’t let anyone ever tell you that is not OK to get a second opinion. So the second lesson learned. If you feel you need a second opinion, third opinion, fourth opinion it does not. Always remember you have choices. The 3rd part that I want to address is sharing your information with just anyone. You will find not all family and friends will be supportive. I don’t think it’s because they are trying to be insensitive. Maybe it’s because they don’t know what to say or even how to support you. I will give you an example. My mom has a good friend that made a remark by saying ” I don’t understand why would they risk getting pregnant again.” You see, two and a half years after Gabrielle was born I was pregnant again. It was intentional. We really wanted to try for that boy. We asked the neurosurgeon about getting pregnant again. He said that there was less than 1% chance of ever having another child born with Dandy-Walker. Well, obviously we didn’t beat those odds if you have read some of my other posts. But she didn’t know that at the time I was pregnant. Honestly, I couldn’t believe how ignorant that kind of remark was. Did she know any statistics? Most likely not. Do you want to know what I think is worse? Is that my mom shared that news with me. Knowing how hard it was for me when we heard the news about Gabrielle. Not all people use their brains when they speak about something they don’t know about. That is just what it is. So here are the third lessons. Be cautious with whom you share your news with. I really think that it’s mostly people that don’t know you. That’s where you will find the lack of support. Here’s the part I find myself still feeling on many occasions. 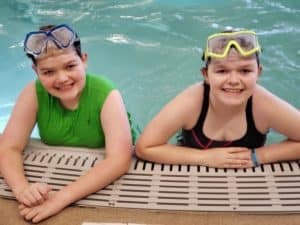 Having special needs children is hard. It is different than having typical children. Yes, I can say this and make that kind of comparison. We have 2 typical children and there is a difference. First, you may blame yourself. Even though there was nothing you could have done or anything that could have been prevented. I think most moms find themselves feeling that way. It was very hard on me before we had Gabrielle. I thought what could have I done to help prevent this? Then after she was born I thought maybe I didn’t pray hard enough. Raising special needs children can be a lonely place at times. It can be sometimes hard for people to understand how emotionally exhausting it can be. 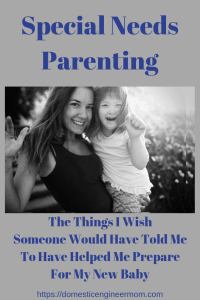 Special needs parents have a tendency to be shut-ins. I don’t think we ever intend to but days can seem to run together. We forget that we need to take some time for ourselves. 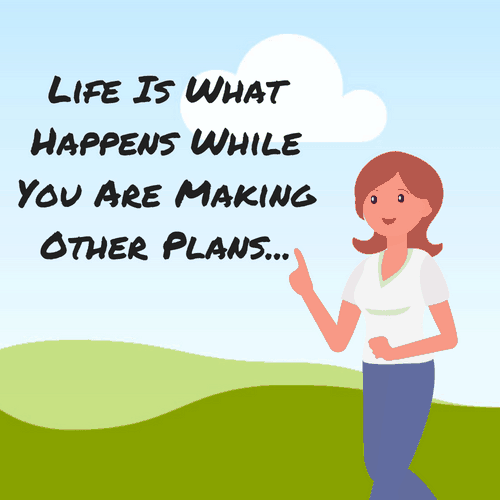 If you are a new mom or dad and find yourself in this situation, you need to take care of yourself first. As hard as this can be at times. If you are worn out and exhausted then you can’t be there for your baby or child. Believe me, I still struggle in this area. You know what, you’re going to make mistakes. I tried to educate myself about numerous subjects that my child might have. Sometimes books don’t have all the info. Go with your momma’s gut. If you make a wrong decision or choice, its ok. You don’t have to be perfect! Believe me, nobody expects you to be. You are your worst critic. It’s ok to feel sad or upset when you see your child struggle. It can particularly hard to watch your child struggle with even the smallest things. Celebrate those small victories and don’t worry about what they can’t do but that of what they have achieved. They are all going to hit different milestones at different times. Don’t compare yourself to other parents. You truly don’t know their situation. You need to remember you are doing your best and that’s all that is expected. If this is your first special needs child, we all started where you are. Sometimes it does help to ask for advice from maybe someone that’s been there and done that. Just make sure they know what your circumstance is. That way it more personable. Always remember that there are genuine people out their that want to help. Just like with other situations in life, sometimes you have to pull out the bad weeds to get to the flowers. Fourth Lesson. We are not Super Heros! We are regular parents! I want to leave you with this… I would never have my life any other way. All my children are blessings. I’m blessed to have all 4 of them. Sometimes that mountain seems huge and you don’t think you will ever see the other side. You are resilient! So are your children! Enjoy Life! I want to thank you for stopping by and I hope I have helped. Subscribe to my blog so you don’t miss out on any updates or messages. Also, I will send you some really cute Unicorn Journal Printables.